Is there a better way to integrate kids with special needs into classrooms? Home → FASD Resource Directory by Audience → Expectant Parents, Parents & Caregivers → Is there a better way to integrate kids with special needs into classrooms? This sounds like a middle-schooler exaggeration, but for Connor, school would seem evil. He has a complicated web of disabilities, including autism spectrum disorder, attention deficit disorder, tic disorder, anxiety and dysgraphia (difficulty with writing coherently). Connor is also intellectually gifted. Put plainly: The particular wiring of his brain can make it very hard for him to sit still, focus on his work, interpret social cues, regulate his emotions and behaviour, remain calm, stay quiet and write legibly. The typical public elementary school class—where upwards of 25 kids are required to keep up with the same lesson plans at the same pace, and remain orderly for long stretches of time while also making and maintaining peer-group friendships—is an impossible, often hostile place for kids like Connor. Connor, you see, is that kid. You’ve seen kids like him: the one having an epic meltdown in the store, or whipping a plastic shovel at another child’s head in the sandbox, or swearing a blue streak on a city bus. The one other kids are frightened of and don’t want to play with. The one many teachers find a burden and some parents don’t want in their children’s class. Their concerns are valid—to a point. Conditions like autism and attention deficit hyperactivity disorder (ADHD) can cause volatile and even violent behaviours. When schools lack expertise in special education and don’t provide appropriate accommodation and support, kids with these kinds of disabilities are disruptive. But when you’re the parent of that kid, the world looks different. Your child is the one who is vulnerable, who finds the noise and chaos of school hallways stressful, who finds the transitions from one activity to the next jarring, who heartbreakingly doesn’t get why other kids find him odd or difficult. 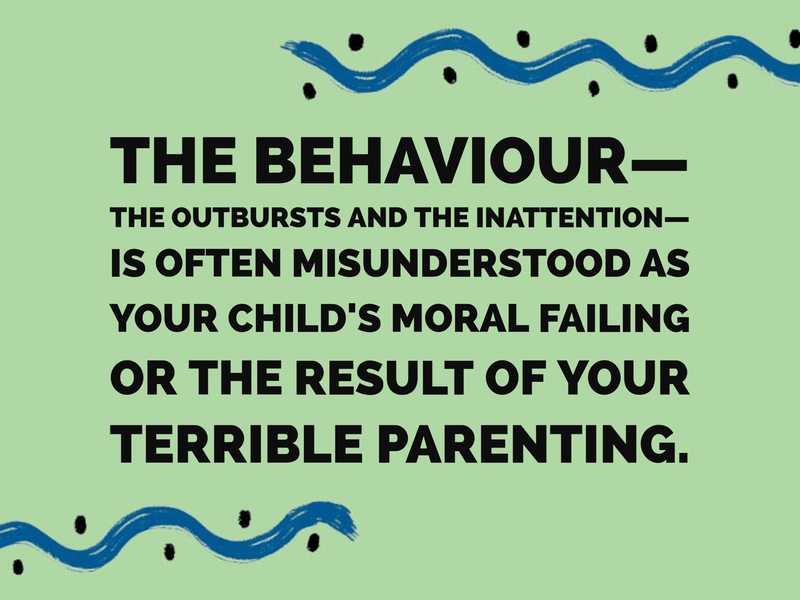 The behaviour—the outbursts and the inattention—is often misunderstood as your child’s moral failing or the result of your terrible parenting. When I enter Connor’s house, he doesn’t say hello at first, despite his mom’s prompts. That could be interpreted as rudeness, but it isn’t. Instead of speaking, Connor serenades me on the piano with the theme from Star Wars as I walk into his family room. It’s a charming workaround for the discomfort of a new social situation: the arrival of an adult who’s there to interview you for a magazine. The Connor I meet is not a malicious troublemaker but a creative, furiously smart and often overwhelmed kid. Connor’s particular set of exceptionalities is unique, but his situation is increasingly common. Diagnoses of autism spectrum disorder, anxiety and ADHD are on the rise, and more and more education systems are emphasizing the integration of kids with disabilities in mainstream classrooms. The thinking is inclusion decreases stigma and isolation, and helps non-disabled kids learn to be more tolerant. Yet in practice, integration often happens without proper resources or teacher training, and with zero education for classmates about disabilities. The result: mounting incidents of kids with disabilities being suspended, expelled, and even referred to law enforcement. 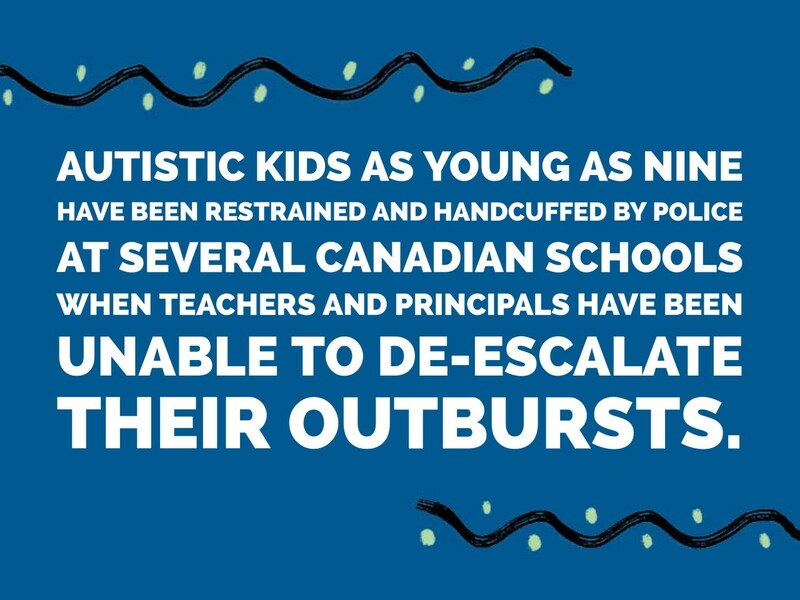 Autistic kids as young as nine have been restrained and handcuffed by police at several Canadian schools when teachers and principals have been unable to de-escalate their outbursts. A mother in Mississauga, Ont., has sued her autistic son’s school board, alleging he was placed in an isolation room and denied food and bathroom breaks at his elementary school. In 2013, the British Columbia advocacy group Inclusion B.C. surveyed 200 parents and guardians of children with disabilities and heard stories of kids being restrained or secluded in closets. These aren’t accommodations; they’re human rights violations. Consider these incidents from the report: A grade two teacher led her class in a vote, deciding as a group to kick out a girl who is autistic and suffers seizures. Another elementary student was placed in a room with the lights out and the door closed. Many parents said that after such experiences their kids were so traumatized they engaged in self-harm, like head banging or hitting themselves. Meanwhile, parents of children without disabilities view the presence of classmates with conditions like autism as a potential threat. Last summer, two girls and their parents launched a suit against the Toronto District School Board for allegedly failing to protect them. According to the lawsuit, the sisters have been threatened and physically harmed by a schoolmate with special needs. 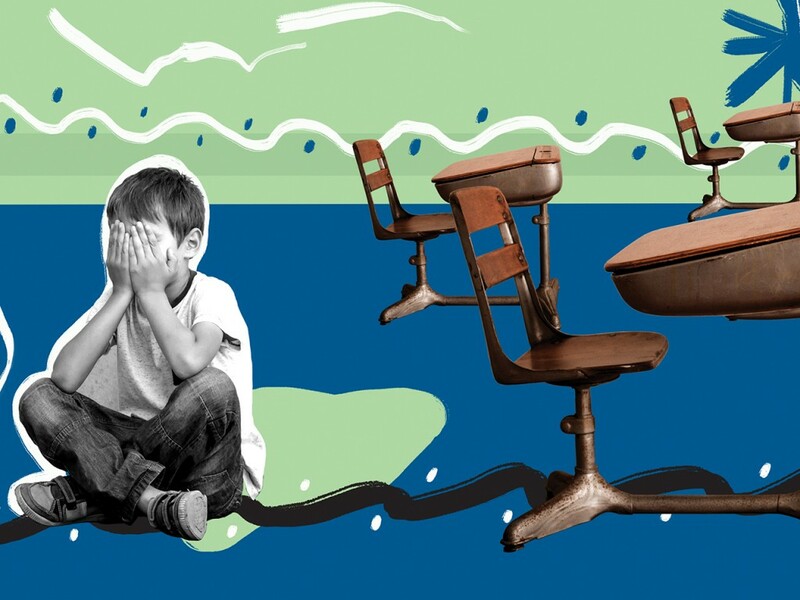 With scared children sent to time outs in closets, with principals calling the police, and with parents suing school boards, integration, in far too many cases, is having the opposite effect of its intentions. Solutions do exist—and specialized training and greater awareness of disability issues would be a great place to start—but there’s seemingly little will from ministries of education and school boards, and in a decentralized education system like Canada’s, broad reforms are unlikely. Most school boards are overstretched and under-resourced. That means the responsibility almost always falls on the families of kids with disabilities to fix the problem. Everyone wants what’s best for their kids. So why are we failing so many of them? They quickly moved on to a kindergarten intervention program for kids with special needs. Connor was too academically advanced for it, so in grade two it was recommended he go into a mainstream class. On it went: For the next six years, he bounced in and out of mainstream and specialized programs. At one point, it was suggested he attend a school outside his catchment area, which would involve a lengthy school bus commute. “Can you imagine what it does to a kid with anxiety and sensitivities to stimulation to spend an hour on the bus before he even starts his school day?” Jennifer says. Along the way, he received his official diagnosis, but it didn’t get his family any closer to finding him an appropriate space. Jennifer doesn’t downplay Connor’s challenges—she acknowledges his combativeness, the ways he can get locked into a battle of wills, his “impressive” vocabulary of swear words. At the same time, he has rarely been taught by someone who understands kids with complicated disabilities or has the expertise to teach them. Hence, the punishments. “But how do suspensions help a child with disabilities learn social and emotional skills?” Jennifer says. It has been stressful for the entire family. Jennifer and Tom are self-employed. The flexibility allows them to advocate for Connor and to take him to appointments and therapy, but the time they’ve had to devote to intervening with his principal or picking him up when he’s had a bad day is work and money lost. Many encounters with staff at his schools have been dispiriting. Teachers would greet them with a list of complaints about Connor’s behaviour: He muttered curse words under his breath; he burped too loudly; he was obstinate and controlling. Jennifer and Tom feel many teachers didn’t understand that his actions weren’t deliberate but rather the result of his disabilities. One teacher told the principal she found Connor’s rudeness demeaning and no longer wanted him in her class. When it felt like their public school options had run out, they enrolled him in a private school for children with special needs. When he got in trouble there and was punished by having to write lines—despite his dysgraphia making writing an ordeal—his parents decided to move him back to the public system. In grade five, they sent Connor to school half days and hired a tutor to cover the other half. Last year, he was back full time for grade six but was soon removed from school after slapping away the hand of a teacher who grabbed him when he was upset. Formal education for children with disabilities began in Canada in the late 19th century, as part of the broader social movement to expand public education for all children. This coincided with the rise of the eugenics movement and, at best, children with disabilities—at the time labelled “degenerate” or “feeble-minded”—were sequestered in asylums or vocational schools to be trained as labourers. That kind of segregation existed for a hundred years or so, until the 1970s, when institutionalization fell out of favour and children with disabilities were moved into mainstream schools, in specialized classes with modified curricula and teachers trained to educate them. The stigma persisted, though, and over the past few decades, the trend has been toward eliminating special education classrooms and integrating kids with disabilities. There have been real benefits to this evolution, says Esther Ignagni, associate professor of disability studies at Ryerson University in Toronto. “Segregated education can narrow the opportunities for kids with disabilities to socialize with their peers.” Nor is there a sense of pride in separate classrooms, she says. By segregating students, schools are conveying the underlying message they are defective. What’s more, standard discipline doesn’t work for kids with autism, ADHD and other conditions in which executive function—the mental processes that govern the ability to plan, focus, regulate emotions, remember instructions and move from task to task—is affected. Behaviour that might seem intentional is often reflexive or entirely impulsive. A kid with poor communication skills might kick at his teacher when he’s exhausted because he doesn’t know how to say, “I’m tired.” A child who is unable to interpret facial expressions won’t get the meaning of the stern “be quiet, please” look on a teacher’s face and will just continue chattering away. With obsessive-compulsive and tic disorders, children may repeatedly touch things, or fling their arms around or shout things out: They have no more control over these actions than they do over blinking or sneezing. Kids with disabilities can certainly learn to improve their behaviour and social skills, but punishment won’t get them there. “Teachers will be the first to say, ‘We want more information and education,’” Thorne says. And that’s of particular importance when it comes to safety, she adds. Everyone who will be caring for the child at school should be trained to de-escalate situations and defuse kids who get agitated and aggressive. For inclusion to work, she says, there needs to be an administration willing to advocate for kids with disabilities and to provide a team to support them as well as their teachers. Co-operation and collaboration are essential, and prior to inclusion, “the team of people around the child, including the parents, the teachers and psychologists, therapists or counsellors, need to come up with a plan covering everything from how different subjects will be taught to how a child should be disciplined to what he requires in terms of social skills development,” she says. The plan should be consistent: If parents have found a successful strategy for soothing a child at home, for instance, that same strategy should be used at school. I have struggled with this with my own son, who’s now 13 and was diagnosed with various learning disabilities when he was eight. From the start, school was rough for him. He had behavioural difficulties and was easily triggered. By the time he was in grade four, he had been suspended twice and sent to the principal’s office more times than I can count. A number of his teachers were sympathetic, but none of his regular classroom teachers had serious training in special education or knowledge about his particular set of disabilities. We’ve often found ourselves sending books and articles to school or paying doctors and therapists to consult with the staff. 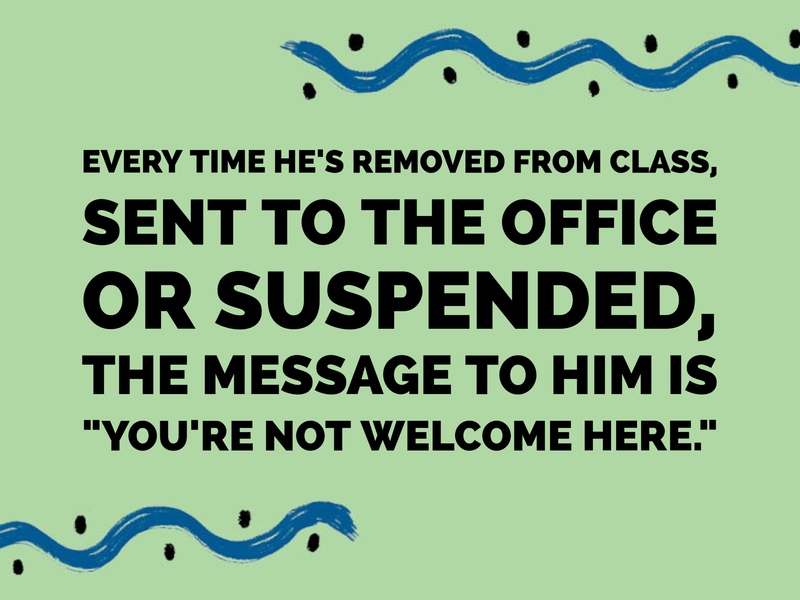 He endured years of being labelled a “problem”; of being punished and excluded from social activities and field trips; of feeling that teachers disliked him. When he was quite young and I picked him up from class each day, his teacher would fill me in while he played or coloured nearby, listening to our conversation. As she rhymed off all his failings (he was rude; he cut to the front of the line; he wouldn’t share a ball at recess), I’d watch him physically crumple with shame. Once I snapped and said, “Do you think that just once you could tell me one nice thing about his day?” She snapped back that she was just doing her job. Another teacher, who refused our multiple requests for a weekly phone check-in or email exchange to help us stay on top of his school work, wrote our son an end-of-year letter to say how “disappointed” he was in how our son had done that year. These school encounters are not only demoralizing for children with disabilities; parents also suffer. At times, I’ve felt my son’s teachers were adversaries, not educators—and there have been many mornings when I’ve dreaded sending him to school, aware that he would be miserable for the next six hours. Jennifer says she feels she has to defend herself against other people’s judgments about Connor and her parenting. Her husband, Tom, tells me they’ve never felt a part of their school community. “Whether it’s been sending him to a school outside our neighbourhood or having had to move him so often or having had to battle with teachers and principals,” he says, “we haven’t been able to develop a sense of community.” Like Connor, they’re outsiders, and that’s very, very lonely. What they want for their son isn’t any different from what all parents want: They want Connor to love learning, to develop social skills and make friends, to become independent, to thrive. Talking with them, I see they’re clearly devoted to their son and delighted by him, tuned in to his needs, and extraordinarily adept at raising a kid with some complicated challenges. They have many advantages: They’re white and middle-class; they only have one child to focus on; and they are articulate advocates with the resources to have tried multiple education models. If they can’t find a solution for their son, there’s not much chance any parent could. While there are legal avenues for parents of children with disabilities to pursue, how that plays out practically is another matter. Provincial, federal and international human rights laws and policies protect kids with disabilities from discrimination and guarantee their right to education. But, as with other service providers, school boards only have to accommodate to the point of “undue hardship.” When faced with a request to hire more assistants and therapists or reduce class sizes, many administrators argue it’s simply not in their budget. Meanwhile, in the absence of adequate support, punishments are used to deal with kids deemed troublesome. Children with disabilities—as well as children of colour—have been disproportionately targeted by zero-tolerance policies. In Toronto in 2012, for instance, children with special needs were more than twice as likely as their peers to be suspended. The study also found that black and Latin American children had much higher rates of suspension than their white classmates. In the US, a 2015 report from UCLA’s Civil Rights Project found that elementary school children with disabilities were suspended more than twice as often as the overall rate. She’s not unsympathetic to the competing demands facing school boards, administrators and teachers. But Austin says it’s not the underfunded schools with limited resources and high-needs populations that tend to balk at integrating children with disabilities. Often, she says, it’s the affluent schools and wealthy parents who are the most resistant. Parents who have moved into a specific neighbourhood for its school or have lobbied to have their child placed in an enriched program sometimes “don’t want their child to be a class with children they feel are disruptive or different,” Austin says. She’s seen a pattern in her cases where those parents who have sought “a private school experience within the public school system,” by putting their children in French immersion or specialized arts schools are the most unwelcoming to families with kids with disabilities. In some cases, parents complain and threaten legal action if they feel the presence of children with disabilities is affecting their own children’s educational experience. “In the face of parental pressure, principals are very concerned about liability,” Austin says. Carrying out appropriate accommodation and integration that’s safe and beneficial for all children in the school is hard and complex. “It’s much easier to just punish or suspend the children with disabilities rather than taking the time and effort to come up with an adequate plan for support,” she says. So what could smart integration look like? For one, teachers need to be better prepared to educate children with special needs. A big factor for success when it comes to integration is teacher buy-in, and if students with complex disabilities are going to continue to be mainstreamed, then every teacher should be trained in special education. They need to be able to convey new concepts to kids using a variety of learning styles and to assist children with managing their emotions. And teachers need to be open to communicating and collaborating with parents. Classrooms could also be made less overwhelming with warmer lighting, less clutter and quiet nooks where kids can chill out when they’re stressed. These physical and staffing changes are only part of the solution, though. As Ignagni sees it, accommodation also requires a change in attitudes and perceptions. Fears about kids with disabilities being disruptive or dangerous are often the result of ignorance. Schools should be teaching all students about disability issues and adopting alternative models of discipline, such as mediation and restorative justice instead of harsh punishments. Kids with disabilities need to be taught and encouraged to advocate for themselves. No single integration model will suit every child. Some kids with disabilities might prefer a separate environment; others could thrive in a mainstream classroom with extra tutoring and assistive technologies. And many kids will need a range of assistance as they develop from preschool through to high school. In Connor’s case, Jennifer and Tom found a specialized classroom for kids on the autism spectrum within their local public school board. She says the support for Connor is strong, although in a class where every child has similar issues, the kids tend to set one another off. The teachers don’t take it personally, however, and are skilled in managing the class without resorting to harsh discipline. *Names have been changed to protect the family’s privacy. This article was written by Rachel Giese and was published on Today’s Parent website.